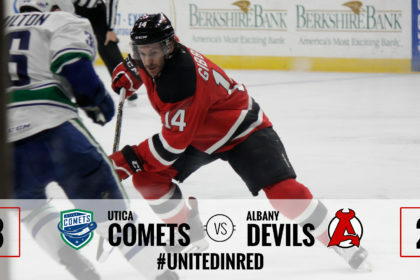 ALBANY, NY – The Albany Devils were defeated by the Utica Comets, 3-2, Monday at Times Union Center. 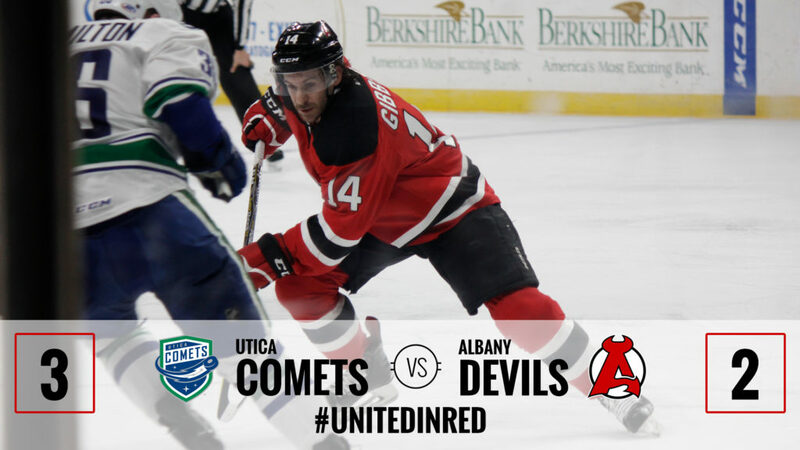 Carter Camper and Ryan Kujawinski each scored for the Devils but the Comets used a strong third period to come away with the victory. 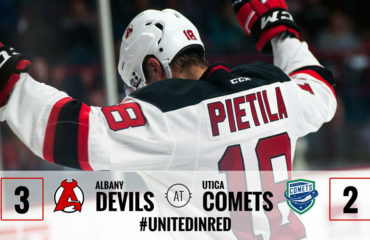 Albany’s record moves to 30-23-1-1 as Utica ends a two game skid to improve to 21-23-6-2. Camper scored the game’s first goal with 3:07 remaining in the first period. 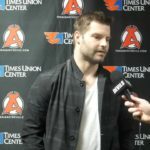 Petr Straka received a pass from Josh Jacobs, led a rush down the ice, and slid the puck to Camper who rung one off of the pipe and in for his fifth goal of the season. The tally was Camper’s second goal in two games and fourth point in the last three. 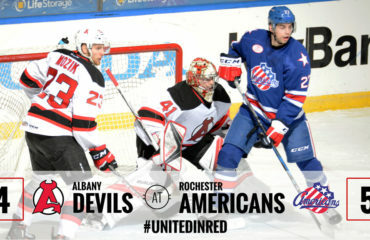 Borna Rendulic scored on a breakaway at 8:04 of the second period to tie the game for Utica but the Devils answered just 21 seconds later as Kevin Rooney set up Kujawinski for his fourth goal of the season. 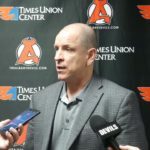 Utica’s Darren Archibald tied the game at two on a shorthanded breakaway at 4:24 of the third period and Jordan Subban followed with the game-winning power play goal on a slap-shot at 13:23. 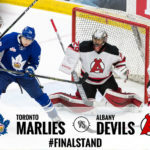 Mackenzie Blackwood, looking for his fifth straight win, stopped 32 shots. 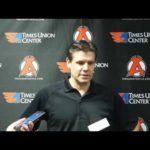 Richard Bachman recorded 33 saves on 35 shots for Utica. 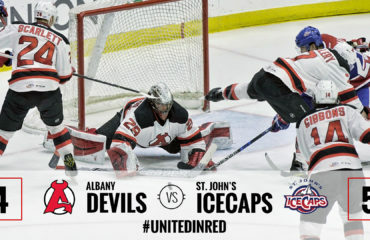 The Devils resume play on Friday when they travel to St. John’s to take on the IceCaps. 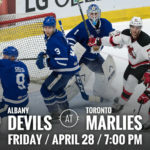 Puck drops at 6:00 pm.